Feminism, Capitalism, and Critique: Essays in Honor of Nancy Fraser. Edited by Professor Banu Bargu of History of Consciousness and Chiara Bottici - Palgrave Macmillan, July 2017. 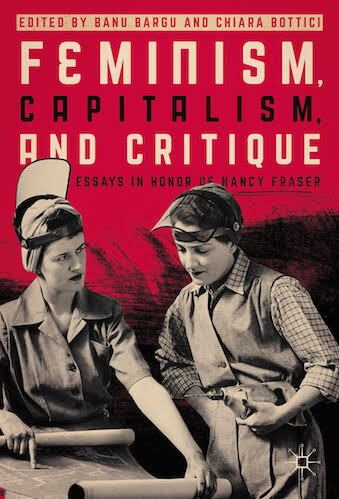 This edited collection examines the relationship between three central terms—capitalism, feminism, and critique—while critically celebrating the work and life of a thinker who has done the most to address this nexus: Nancy Fraser. In honor of her seventieth birthday, and in the spirit of her work in the tradition of critical theory, this collection brings together scholars from different disciplines and theoretical approaches to address this conjunction and evaluate Fraser’s lifelong contributions to theorizing it. Scholars from philosophy, political science, sociology, gender studies, race theory and economics come together to think through the vicissitudes of capitalism and feminism while also responding to different elements of Nancy Fraser’s work, which weaves together a strong feminist standpoint with a vibrant and complex critique of capitalism. Going beyond conventional disciplinary distinctions and narrow debates, all the contributors to this project share a commitment to critically understanding the connection between capitalism, exploitation, and the viable roads for emancipation. They recover insights provided by classical traditions of political and social thought, but they also open new research directions adapted to the global challenges of our time. To view additional publications by faculty in the History of Consciousness Department, please visit Faculty Publications.